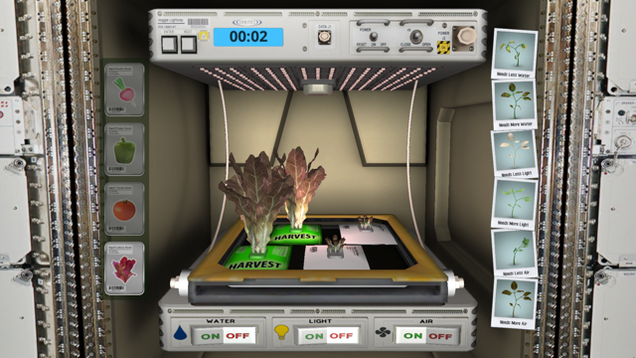 As a life-long, avid Sims player, I was pretty excited to hear about NASA Science Investigations: Plant Growth. 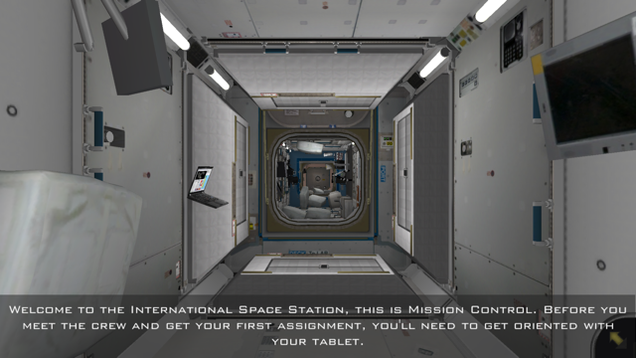 Released last month, the educational app lets you zoom around the International Space Station (ISS), complete various astronaut tasks, and even interact with a fellow astronaut. 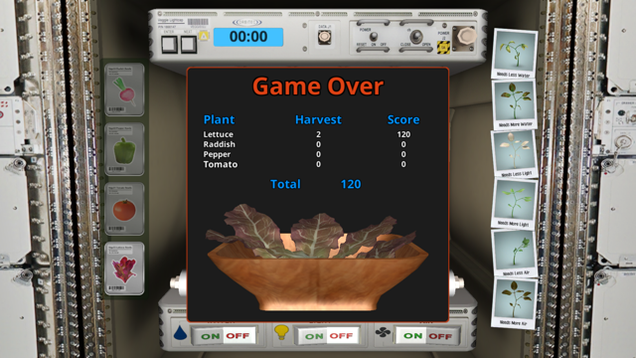 Most importantly, it teaches you how to grow crops like the ones NASA astronauts tend to by using the Vegetable Production System (Veggie) aboard the ISS. While the game doesn’t include the fire piano soundtrack of the original Sims, it’s well worth the download if you’ve always wanted to visit the ISS. Or maybe you love lettuce. Or you’re feeling a little bad about yourself. First, you learn how to manoeuvre yourself around the ISS, much like an astronaut would. Each rack and feature aboard the ISS is replicated flawlessly in the game, which is great and terribly confusing because everything looks the same. After wandering aimlessly and collecting floating trinkets around the ISS, you find Naomi, your cosmic comrade. She recruits you into helping her grow fresh vegetables on board the ship, which is entails more wandering around the ship in search of a laptop. IMHO, this was the game’s biggest flaw, as there are many laptops floating around and I spent most of the time clicking the wrong one like a maniac. Once you acclimate yourself to the labyrinth of the ISS, you’re ready to get growin’. Your character will learn to manipulate different levels of water, light, and air to help plants grow. I grew some lettuce, but failed to grow the full salad as my mission ordered. Thus, I wasn’t able to proceed. 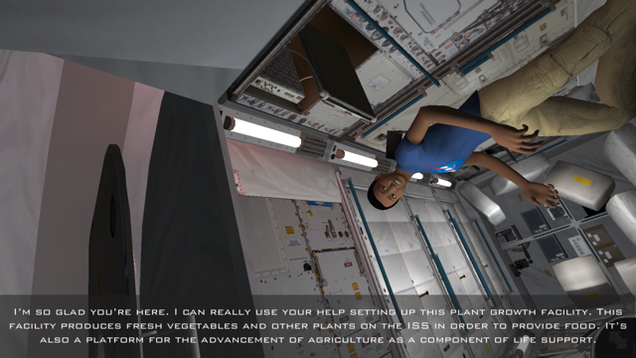 For those more talented than I, the app is an exciting way to learn more about the importance of plant growth in space. While I can’t say my self-esteem benefited from the app, I genuinely learned a lot about the ISS and could basically give tours there. Still can’t grow a salad, though.